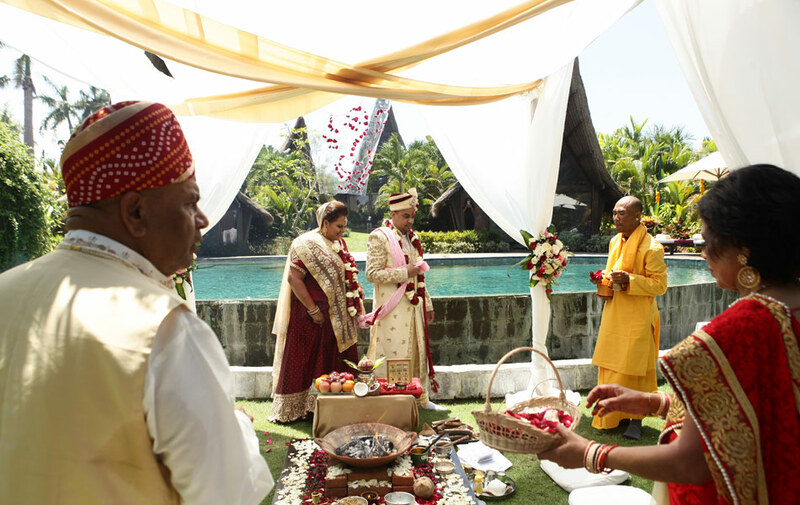 As promised in our last article about Bali Wedding with Balinese Hindu Ceremony, now I am glad to launch our special package of Bali Wedding with Indian Hindu Ceremony. If you are wondering why we have to make different articles for same Hindu religion? This is because both have different traditions means there are different rituals based on the origin of people. 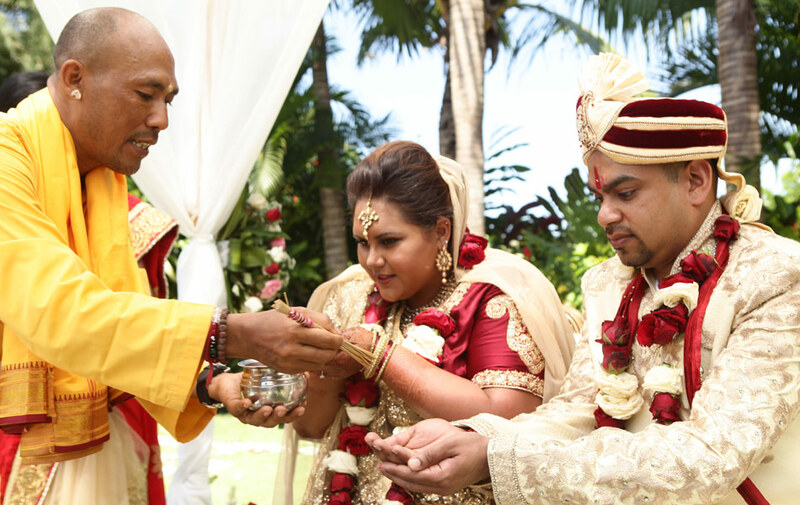 Most Indian Wedding will only be followed by Indian Hindu people. And nowadays Bali as the biggest Hindu population in Indonesia attracts many Indian Hindu couples to celebrate their special day here while a perfect place to meet and gather with all family who live around the world. Above packages are NOT including venue fee, photographer and other related wedding requirements. So the ceremony can be done at your chosen hotel/villa/resort and or we would be happy to find suitable venue for you. Copy valid Passports of Bride and Groom (each passport being valid for a minimum 6 months as from the date of entry into Indonesia). Copy Birth certificates of Bride and Groom. Copy Death certificate of former spouse (when relevant). Copy Divorce certificate (when relevant). Fill out all information in the Legal Wedding Form provided. Above rates are excluding 11% Government tax and 5% Service charge. 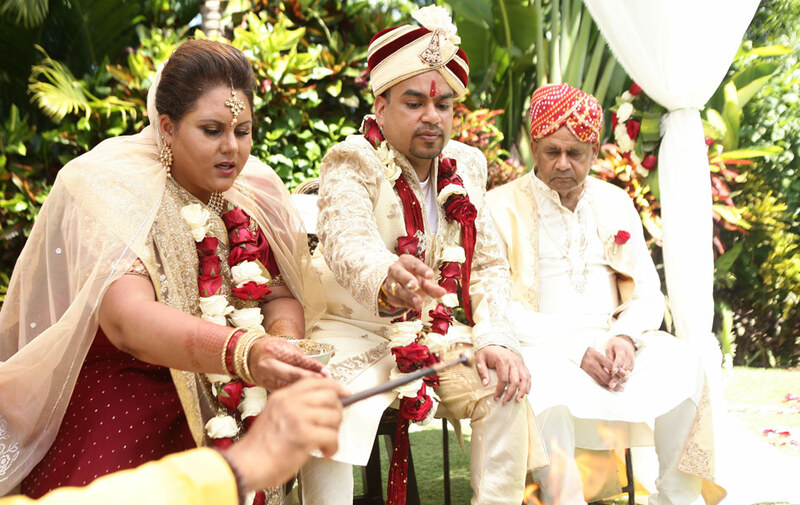 For Non Legal Ceremony by Indian Hindu Blessing, you may only need to provide copies of Bride and Groom passports and witnesses if any, for wedding planner to issue your commemorative certificate.